Consort Claudgen have introduced a safety monitoring feature which will identify overheating, fan failure and certain electronic faults, in their PLSTiE electronic timer heater range. This feature helps diagnose a problem occurring in the heater and prevents high surface temperatures that could lead to risks of burn injuries. When the safety monitoring identifies a fault, the heat is switched off and the heater will beep at different intervals depending on the problem. Users can then follow clear instructions in dealing with the fault from the manual provided with the heater. The PLSTiE range also includes two new compact heaters with 500W and 750W ratings. All heaters offer a 7-day programme with 6 heating periods per day and are enhanced with one of the latest low energy consumption EC motors. 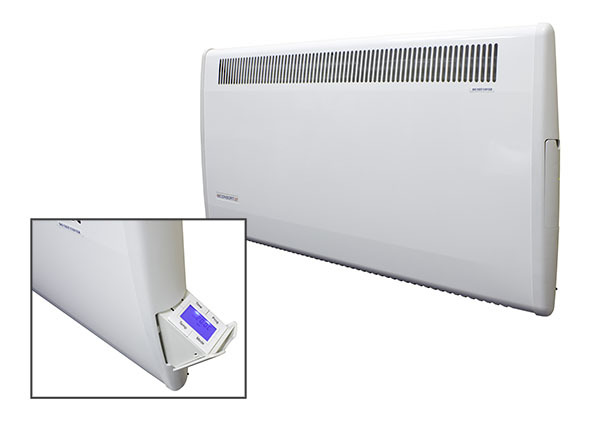 This allows the heater to operate quietly, whilst still providing the best possible levels of comfort.